Kristine was born with multiple congenital birth defects and lived without a diagnosis of her rare disease for over three decades. When a diagnosis finally came, she learned she had already lived over a decade longer than expected with her disease. Forty-two surgeries later and misdiagnosis after misdiagnosis, she could have allowed the unknown to haunt her but instead God's miracles invaded her life. Magnificent grace and love transformed her faith into a mighty story that reveals new miracles each day. Her life scripture is Romans 5:1-5. She firmly believes that God's grace will work through the trials of this life and turn our hearts to gratitude. Kristine easily relates her story of love and faith to all ages. 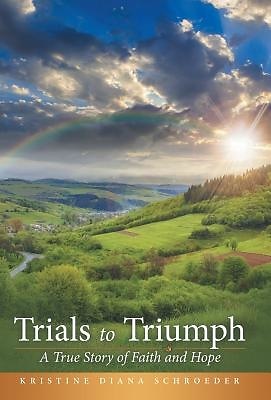 Sharing deep from her heart and her own experiences, she raises the awareness of God's continued presence in everyday life. With a joyful heart she presents a hope-filled message.